1.2 How do you eat moringa? How do you eat moringa? 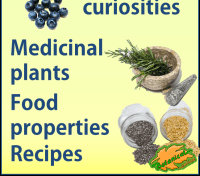 Moringa is a plant almost entirely edible. From it, you can eat the leaves, the seeds, the legumes, the flowers and the root. Moringa leaves can be eaten raw or cooked, like a vegetable. In addition, they can be dried, powdered and stored. Preserved in this way, they manage to maintain all their nutritional properties. 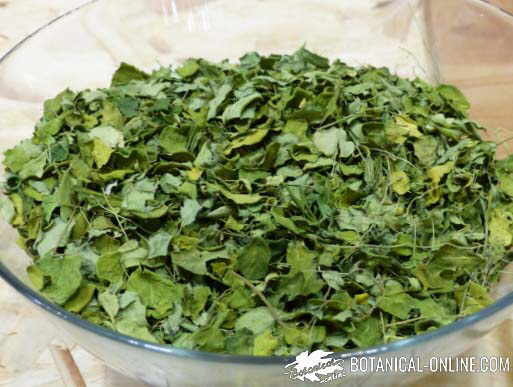 Raw moringa leaves have a sharp taste reminiscent of watercress or radish. When they are cooked, the pungent taste disappears and the leaves acquire a flavor like spinach marinated with pecans. The fresh moringa leaves or the dry powder from the moringa leaves are added to dishes a couple of minutes before finishing the cooking. If we add it before, we will destroy most of its properties. Legumes or pods are the fruits of the moringa within which seeds are found. They are more tender and less fibrous when they are not ripe, although mature ones can also be eaten, provided they are cooked well. When they are tender and the size of green beans, they can be eaten raw or cooked. When they are adult, they taste like asparagus. With the pods of the moringa we can prepare any dish that we would prepare as if they were green beans. They can be eaten cooked with a taste similar to mushrooms. Raw flowers are believed to be toxic. When they are eating too much (more than one cup of coffee per session), they have laxative properties. Pregnant women should not eat moringa flowers because they are believed to be abortifacient. They can be added to salads, pasta dishes, cereal dishes, tortilla, lasagna, pizza, mayonnaise, etc. Oil is extracted from moringa seeds (Ben oil), which is used for the lubrication of machinery, as hair grease, in perfumery and, especially in what we are now interested in, as an oil to eat raw, especially in salads. Moringa seeds are also eaten as if they were peas when the fruits are ripe, or are roasted and eaten as nuts. They are especially rich in vitamin C.
The experience of some users is that we can not eat more than 2 or 3 a day, since they are vomiting, especially if the body is not accustomed. For this, they advise eating one or two and check how the body reacts. To make this spice, remove the bark from the root, grind the rest and add vinegar and salt. Attention !!! 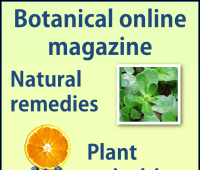 : Some specialists consider that this root should not be eaten because, although we remove the bark, the rest of it contains the alkaloid spiraquine with paralyzing effects. When the dose taken exceeds the tolerated amount it causes the paralysis of the nervous system that can lead to death. Proponents of this preparation argue that, taken in small doses, it is not dangerous. In Senegal, a series of experiments were carried out on pregnant or nursing malnourished women and their children and fetuses under the same conditions. For a while, a dust of dried and crushed moringa leaves was added to the meals that these people habitually prepared. In this experiment it was verified that the children increased of weight and become healthier in general. It was found that women recovered from anemia and that, in childbirth, they presented babies with a greater weight. It was also found that lactating women increased milk production. The reason for all these changes is due to the richness of the moringa in nutrients, especially when it comes to vitamins, minerals and proteins. The leaves of moringa constitute the most nutritious part of this plant. The main nutrients of the leaves of the moringa are vitamins A, B, C and in addition they are also very rich in minerals like calcium, potassium, iron and proteins. High riboflavin content (20mg / 100g). 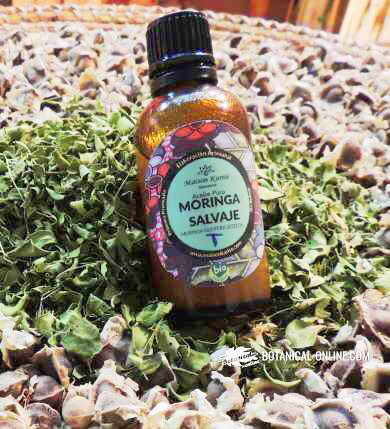 The leaves of the moringa constitute the most nutritious part of this plant. The leaves of the moringa are the vegetable food richest in vitamin A (in the form of beta-carotene) when compared to other foods rich in vitamin A. For example, the fresh leaves of the moringa contain 4 times more vitamin A than carrots and the dry leaves of moringa contain up to 10 times more than the carrots. We know the importance of this vitamin for health. It is necessary to cover the needs of this vitamin so as not to have problems in the vision, to maintain our defenses in good condition, for the health of the skin and the digestive membranes, for pregnancy, for breastfeeding or growth and as an antioxidant. The leaves of this plant, especially in dry powder, contain high levels of vitamin B, especially rich in thiamine, riboflavin, and niacin. Vitamin B transforms food into energy; Strengthens the immune system; Keeps the mind, nervous system, arteries, or heart in good condition. The lack of thiamine, for example, results in problems of memory and concentration, fatigue and apathy. 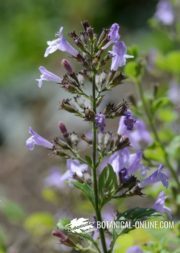 The lack of niacin, among other problems, leads to pellagra, a disease virtually eradicated in the West but still very frequent in Asia and Africa and in places where this plant grows, whose use could help eradicate it. Fresh leaves of moringa contain up to 7 times more vitamin C than oranges. The content of this vitamin diminishes when drying the leaves but, still, its content is half of that of the oranges. Nor should we forget the role of vitamin C in the recovery of patients from bacterial diseases, their importance as a reinforcer of the defenses and as a preventive of the development of cancerous tumors. The fresh leaves of moringa contain four times more calcium than milk and the dry leaves of this plant contain 17 times more calcium than milk. This mineral is essential for the development and maintenance of bones. Calcium deficiencies are responsible for cases of osteoporosis, problems of hypertension, cramps in the legs, etc. If bananas are famous for their potassium content, the leaves of the moringa outnumber this fruit in this mineral. The fresh leaves of the moringa contain up to 3 times more potassium than bananas and dry leaves up to 15 times more. Potassium is needed to remove excessive sodium from the body, preventing fluid retention. 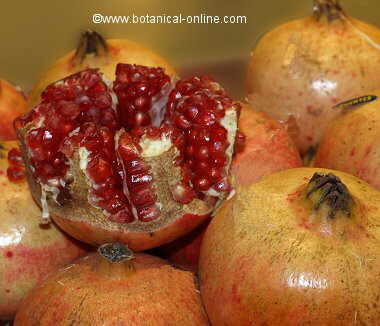 It is necessary for good health of the heart and kidneys. Although the fresh leaves of the moringa contain half the iron than the spinach, the dry leaves far exceed it with a value up to 17 times higher. This fact is very important because, in areas where this plant grows, people often have problems with anemia due to low levels of iron since they eat very little meat. 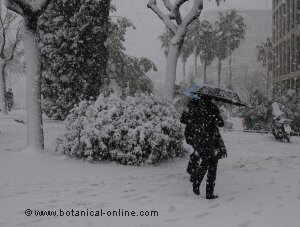 Adding dry moringa leaves powder to soups or other dishes will help prevent this disease. 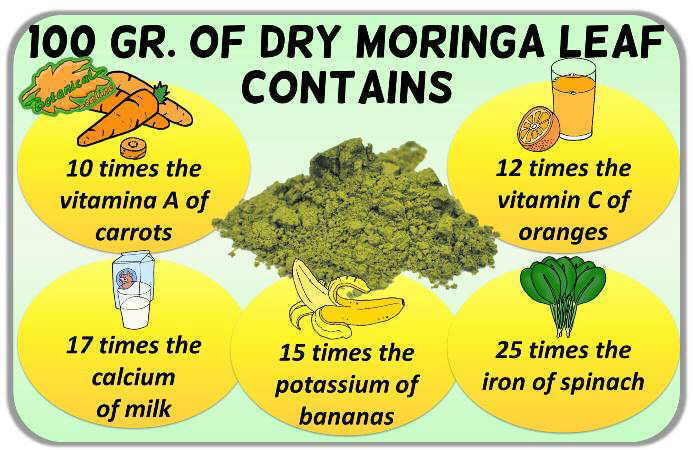 Nutritional properties of dried moringa leaves. They are rich in protein (27%), fiber (10%), potassium (1.324 mg / 100g), iron (30mg / 100g), calcium (2,000mg / 100g), vitamin C (17mg / 100g), vitamin A (20mg / 100g) and riboflavin (20mg / 100g). The leaves of moringa are very rich in proteins. These leaves contain all the amino acids in very high amounts. The tender leaves contain the double of protein than yogurt, while the content of the dried leaves is up to 9 times higher. 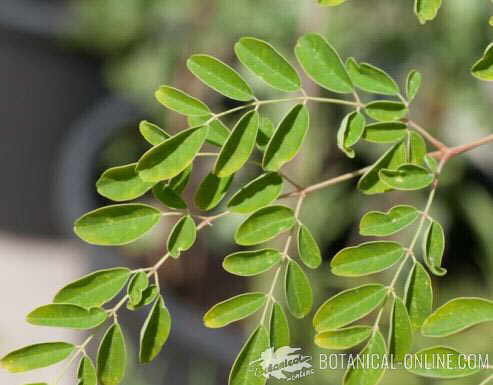 Proteins of this plant can play a fundamental role in the places where moringa grows since there is a great deficit of animal protein and many of the foods that are eaten do not present complete proteins, that is to say they lack some amino acids. The seeds, not the leaves, contain the highest proportion of the amino acids methionine and cysteine, in similar proportions to milk or eggs. Since legumes are deficient in these amino acids, combining peas or other legumes with moringa seeds helps to form proteins of high biological value. On the other hand, moringa is free of the inhibitor of trypsin, a reason why this one remains free and can help to digest proteins more easily. Fats 1,70 gr. 2,3 gr. Carbohydrates 12,55 gr. 38,2 gr. Protein 6,7 gr. 27,1 gr. Fiber 0,9 gr. 9,2 gr. The “legumes” or “pods” of moringa are also eaten tender or dry, being especially recommended to eat them when they are green and tender. 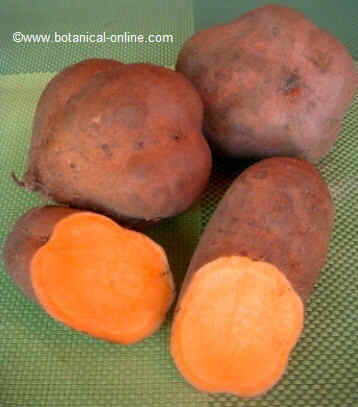 They are especially tasty and healthy, they exceed the leaves in their content in vitamin C, in potassium and in fiber. 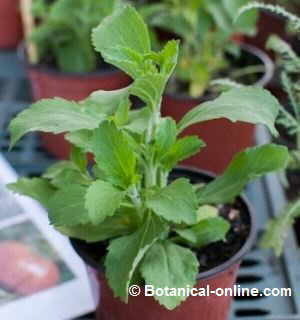 They have fewer calories than leaves and are a good source of magnesium and manganese.